At Shri Vitthal Hindu Mandir our main deity is Vithoba who is the manifestation of Lord Vishnu. 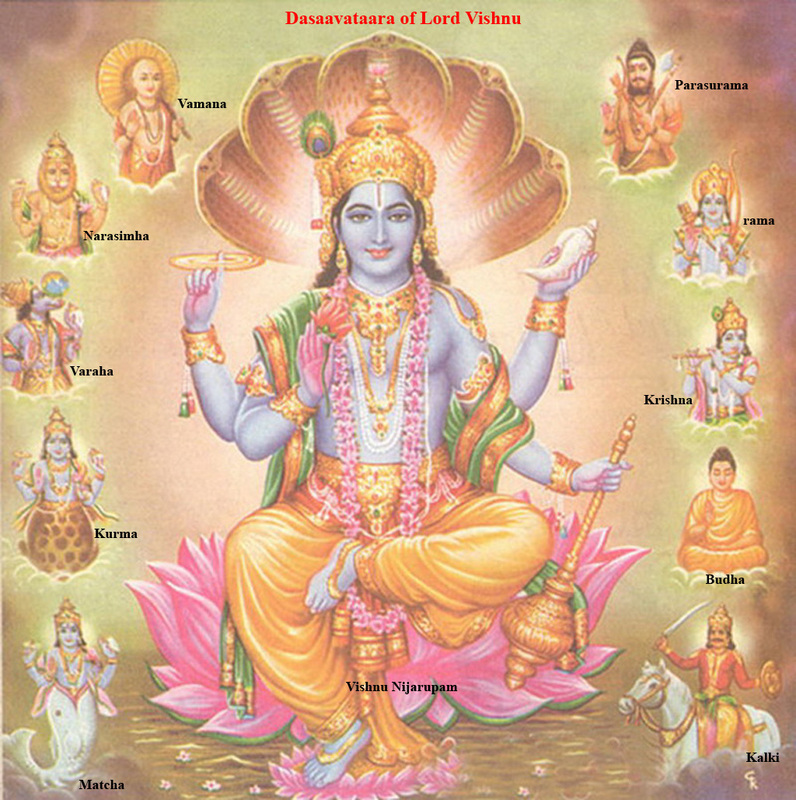 Vishnu is one of the main Gods in Hinduism, the others being Shiva and Brahma and plays the role of the preserver of the Universe. Vishnu is also known as Narayana and Hari (source: http://en.wikipedia.org/wiki/Vishnu) He is easily identified as having blue skin, holding a lotus flower with his lower left hand, a mace with his lower right hand, a conch with his upper left hand, and a chakra with his upper right hand. 13 Avyaya He who does not have different forms or He who is always same. He who is greater than those who are bound, those who are free and those who are static. 36 Easwara He who controls and rules all beings or He who is a natural ruler. 39 Aditya He who throws light on everything or He who is one but appears different. 46 Aprameya He who is beyond rules , regulations and definitions. 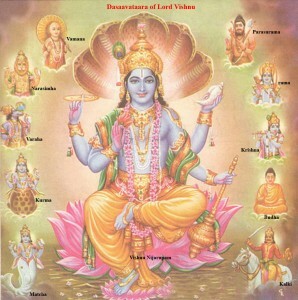 56 Saswatha He who existed in the past, exists at present and will exist in future. 62 Pavithra He who is pure or He who makes others pure. 75 Vikrami He who has the ability to destroy all his enemies or He who has valour. 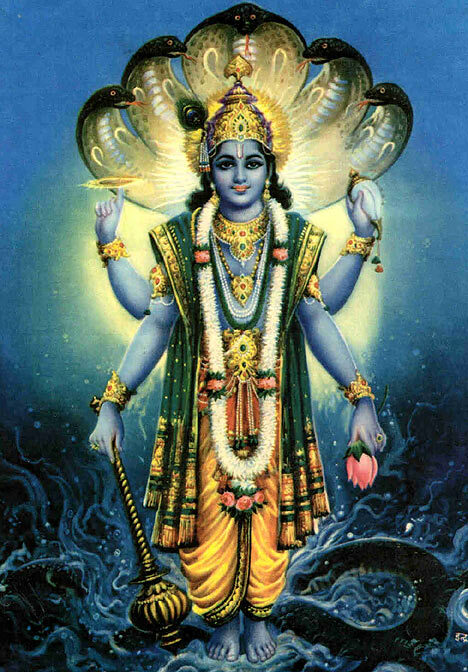 82 Kridhagna He who knows good and bad of all beings or He who gives salvation even by giving leaves and flowers. 83 Krithi He who is busy in his work or He who is personification of work. He who removes all obstacles in the way of devotees to attain Him. 706 Sannivasa He who is the ultimate place where scholars go. 774 Nivrittatma He who is always available everywhere. Join over 7200 Greater Toronto Area Indians who get their Mandir news, events, and networking announcements in their inbox. Shri Vitthal Hindu Mandir Inc.